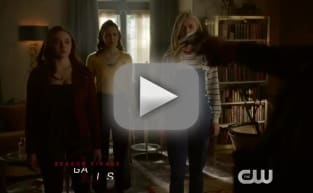 Legacies is the latest series set in the universe that The Vampire Diaries and The Originals were set in, but not much is actually known about the show. Thankfully, The CW unveiled key art and a lengthy synopsis ahead of its 2018 Upfronts presentation on Thursday morning. You can see the key art below. 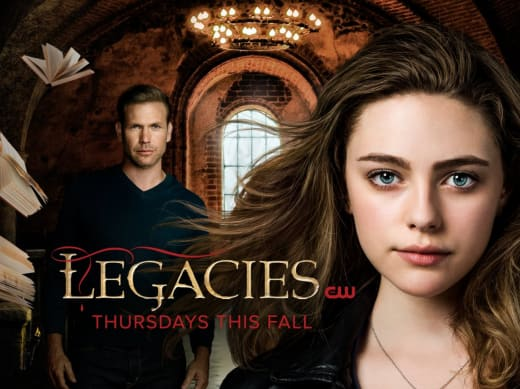 Series stars Danielle Rose Russell and Matt Davis are the only two currently shown in the art, which also confirms the series will air on Thursdays, the same night The Vampire Diaries aired for most of its run. Also, The CW has revealed a lengthy synopsis that includes everything you need to know about the series. Related: The Originals Spinoff Officially Ordered to Series at CW! For the last decade, the iconic heroes and villains of The Vampire Diaries and The Originals have captivated audiences worldwide. They left an enduring legacy of love and family in their wake, which continues in LEGACIES, a thrilling new drama that tells the story of the next generation of supernatural beings at The Salvatore School for the Young and Gifted. The magic school storyline has already been playing out on The Originals Season 5 as Hope is enrolled there when it became apparent that there were too many evil forces out to get her. If you watch The Originals online, you will be well aware that Hope has been trying to harness her abilities of late. The reason being that she's still trying to come to terms with the abilities she has. What do you think of all the information about this new spin-off?